Home / News / The new Thorn products are here! The new Thorn products are here! For our first launch of 2018 we’re setting fresh standards for moisture-proof and dust-resistant LED lighting. Performance and versatility reach new heights with our Aquaforce Pro luminaire, while our brandnew Flow family takes outdoor lighting to the next level in terms of flexibility. The modular design of Flow makes it easy to provide the same look for different city spaces, empowering designers to achieve consistency and visual harmony in both new and retrofit projects. 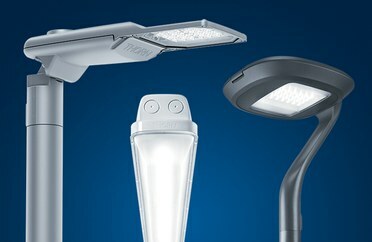 The new robust high-performance LED street lantern Isaro Pro looks great on any road – and is also fit for the future. The outdoor portfolio will also be extended by EP445 an LED street lantern with that blends into historic cities and towns. Alternatively, EP445 offers the best of both worlds for those wanting to combine modern lighting technology with a more traditional look. Designed for the toughest transport and industrial applications, our new Feroz effortlessly copes with heat, dust, moisture, impacts and more. Going one step further when it comes to resistance, the new Durolight is an extremely robust linear luminaire with the highest levels of anti-vandal and anti-ligature protection. And, as always, we continue to update and improve our existing products to ensure the best possible performance. For details of all the latest additions to the Thorn range click here.